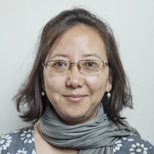 Janita Gurung joined ICIMOD as Biodiversity Conservation and Management Specialist on April 2014. She has experience working in mountain regions of Nepal and the US. Her focus of work has been on biodiversity conservation and natural resource management through the integration of conservation and development issues. Prior to joining ICIMOD, she worked with VSO Nepal and WWF Nepal Program. She also worked as an independent freelance consultant with several organizations including UNDP, ICIMOD, The Mountain Institute, National Trust for Nature Conservation, and LI-BIRD among others. She has a PhD in Environmental Science from Kathmandu University, Nepal, an MSc in Forest Soils from the College of Forest Resources, University of Seattle, USA, and a BSc in Environmental Science from Huxley College of Environmental Studies, Western Washington University, USA.